70 x 27 inches. Mini 16 x 6 inches. Our cardboard cutout of Ant-Man Ant-Man and the Wasp. All cardbo..
66 x 24 inches. Mini 16 x 12 inches. 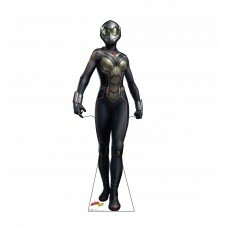 Our cardboard cutout of The Wasp Ant-Man and the Wasp. All card..